EasyVista is proud to have a network of world-class partners that extend our platform capabilities and international reach. Each partner brings specialized service management experience and certification at an advanced level, with 1,000 certified consultants in total. 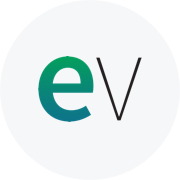 Spanning Managed Service Providers (MSPs), Value Added Resellers, Systems Integrators, and other types of channel and services partners, the EasyVista partner network ensures every customer has a solution to fit their unique needs.